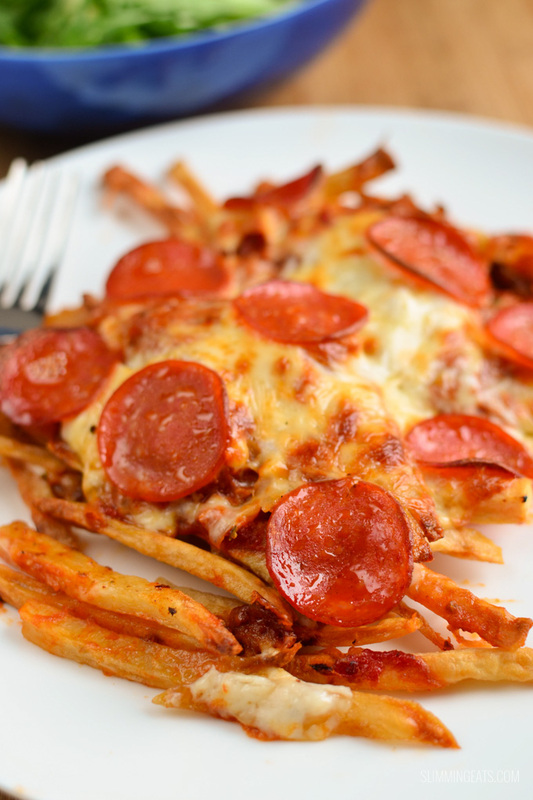 Who needs pizza, when you you can have pizza fries? 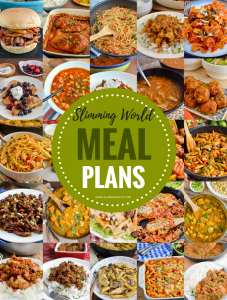 It’s the weekend and you are craving pizza, and you have already use your healthy extra B choice. 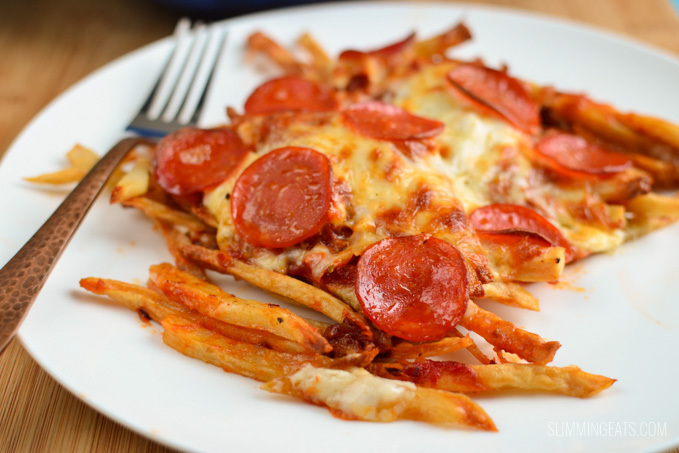 Don’t blow your syns and ruin your perfectly good day – make my delicious Pizza fries. 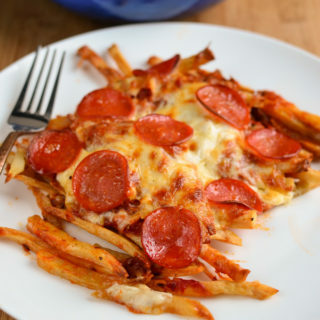 Delicious, crispy oven baked chips, topped with pizza sauce, melted cheese and what ever other toppings you want to add. 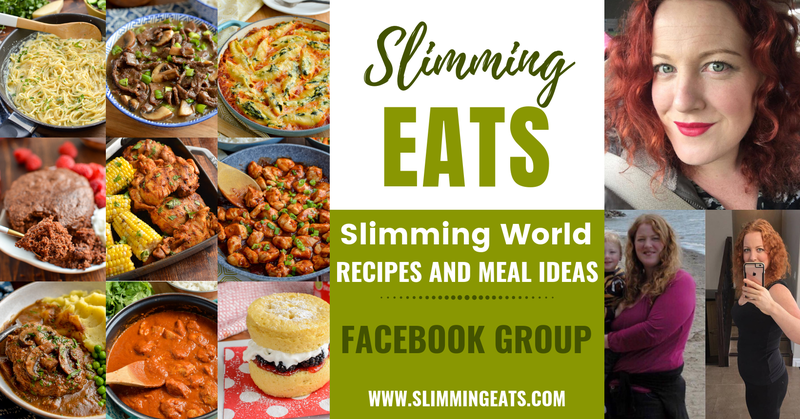 Serve with a nice big mixed salad and you have a yummy meal that won’t blow your daily syns. 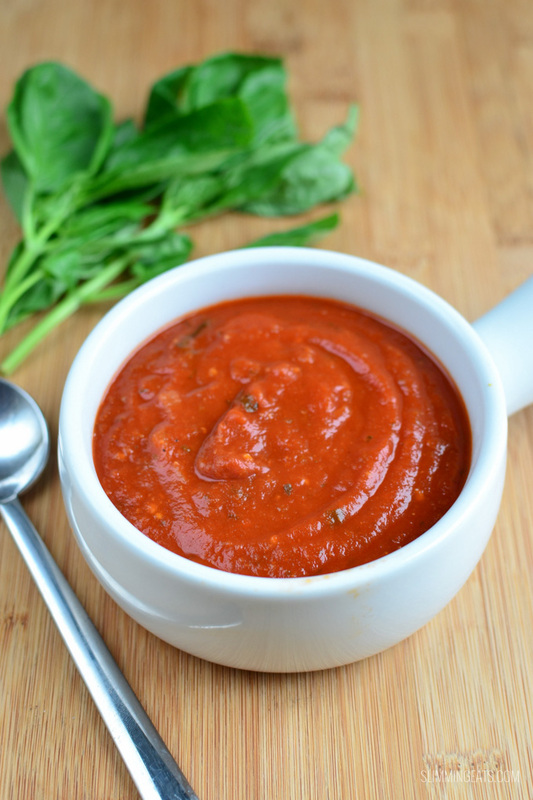 I like to make up a batch of this frequently, so I always have some on hand, either in the freezer or fridge. 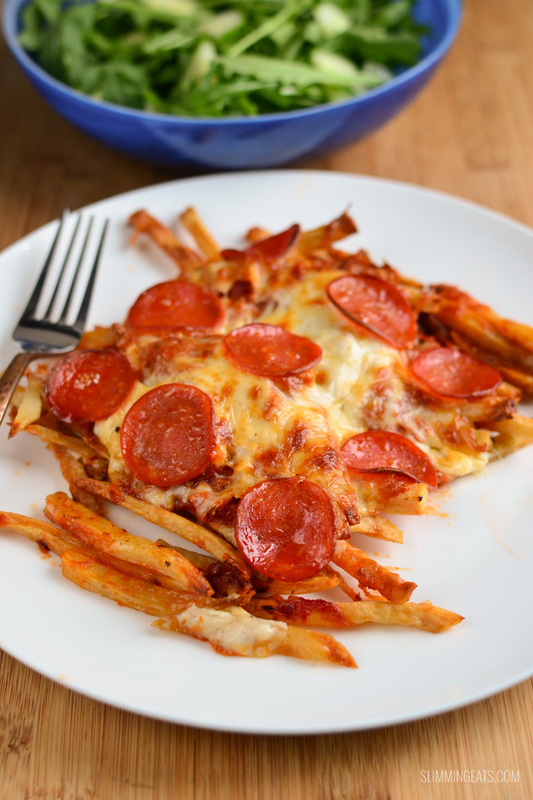 Kids will love these too, so it makes a great family meal. Topping can be varied for these delicious pizza fries – ham and pineapple, roasted veggies, mushroom, whatever you fancy.